There are several ways to order books. (See Below) You can download this sample order form to help you organize bulk orders for a class or event. Not Norman, A Goldfish Story was Jumpstart’s Read for the Record® 2015 book. On October 22, 2015, more than 2.2 million children and adults worldwide took action in support of literacy by participating in the world’s largest shared reading experience. Read for the Record® is a global campaign which generates public support for high-quality early learning. Visit readfortherecord.org today find out more about Jumpstart and this year's campaign. Click over to Jumpstart's Pintrest page to revisit Norman's big day! Publishers usually offer a discounted rate on books purchased for a school visit. And my publishers are great! They work hard to make sure the books arrive on time for scheduled events! Some schools prefer to invite a local bookstore to order and sell books for an author visit. They will be happy to help you order titles when possible. Houston Area: Purchase through Blue Willow Book Shop. Elsewhere: To find an independent book seller near you, visit IndieBound. VAMPIRE BABY is newly out from Candlewick. To order books call (800) 733-3000 or visit their website: www.candlewick.com. NOT NORMAN: A Goldfish Story & NO A NORMAN, La historia de un pececito dorado (Spanish edition) To order call Candlewick Press (800) 733-3000 or visit their website: www.candlewick.com. 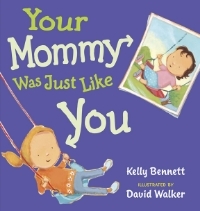 YOUR MOMMY WAS JUST LIKE YOU (GP Putnam, 2011) English edition is available only through on-line booksellers. Or zip off to Japan for the Japanese version. SHERLICK HOUND AND THE VALENTINE MYSTERY, (Albert Whitman, 1989) is available through the authors. Contact Kelly Bennett. SPIDER SPINS A STORY: Fourteen Legends from Native America, is published by Rising Moon, an imprint of Northland Publishing. To order books call National Book Network (NBN) at (800) 462-6420. ONE DAY I WENT RAMBLING is published by Bright Sky Press (May, 2012). Call BSP (866) 933-6133 or visit their website: www.brightskypress.com. YOUR DADDY WAS JUST LIKE YOU (GP Putnam, 2010). To order visit Putnam's website: www.uspenguingroup.com or call Author Appearance Order Processing (866)206-5865. 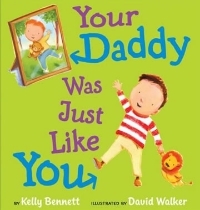 DAD AND POP, An Ode To Fathers And Stepfathers (Candlewick Press, 2010). 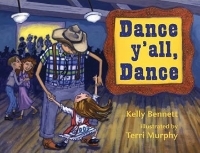 Currently only available from on-line booksellers or Contact Kelly Bennett. STRANGERS IN BLACK is available from Royal Fireworks Press. To order books call RFP (845) 726-4444, visit their website www.rfwp.com or Amazon. ARBOR DAY, FLAG DAY, DELAWARE, and CHESAPEAKE BAY Rookie Read-About Books are available from Scholastic Library Publishing. To order call (800) 621-1115, or visit their website: www.scholastic.com. ANNIE'S HIGH SEA ADVENTURE, ANNIE'S CITY ADVENTURE, COKOLINA AND THE WILD ISLAND, and DINO THE STAR KEEPER are available through Garrett Publishing; please call (800) 654-9366. Another way is to have morning students come right before or after lunch to collect books, and have afternoon students come after the presentations but before the end of the school day—or have all the students come after I finish all presentations. Some schools like to have books autographed without the students present. In that case, please build some “quiet time” into my schedule during which I can sign books. My preference is to autograph each child's book, while the child watches. That way the experience means much more to both of us! I am happy to work with you on scheduling autographing time that best suits your needs.